I had a fabulous reader, Dawn, email me last week with a request. First off, let me tell you guys, that I LOVE when you send in suggestions or ideas for projects/printables. It's so fun to hear what you guys come up with and I love being able to put some of them into action. 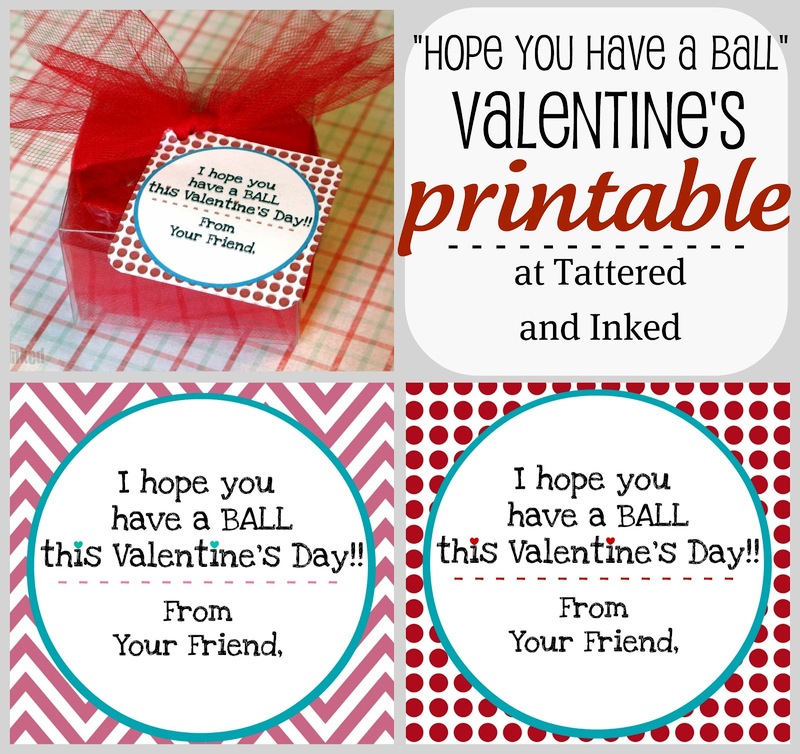 Dawn had seen a cute saying (I think via Pinterest) and wanted some printables that she could use for her son's valentines. Ooooh. The gears started turning. and also some cute tags. The tags would be easy to put on anything- bags, little boxes, homemade cards. There are two color versions- one more for girls, and one more boy-ish. 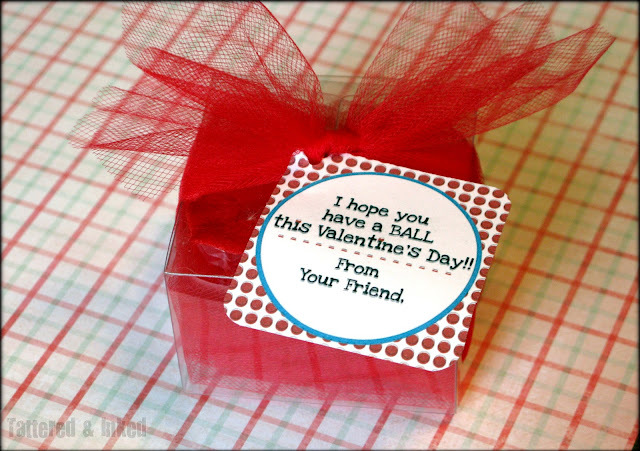 And after sharing them with Dawn, I wanted to share them with all of you in case you needed any last minute valentine ideas!!! You can find bouncy balls pretty cheap at craft or party stores and Oriental Trading has bulk options. The tags above can easily be customized to add your child's name with a program like Picnik or Photoshop. Just click on the file name at the bottom of the post, print and then fold over the top of a ziploc bag. I used the tags for little man's valentines. and all I did was tuck the bouncy ball in, tie it up all pretty and add the printed tag. Printables are for Tattered and Inked readers only. What do you think? Would they make cute valentines? 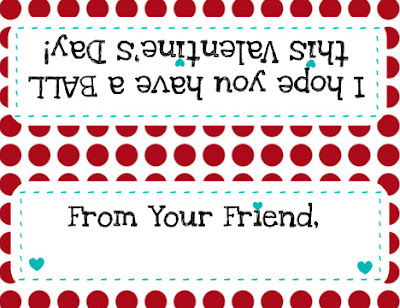 I'll be back later today to share some other awesome home-made valentines that I've found!! Very cool! Thanks for the printables! SO cute!! 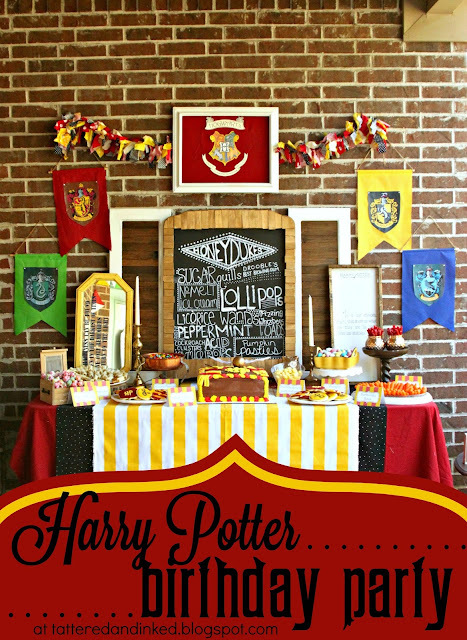 I've pinned this to my printables board!! I'm your newest follower! I found you through Sunday Social! Come visit me sometime @ 52mantels.com! I used your printable for our Valentine's this year! It is so cute and was so easy!! Thanks for all of your hard work!! SO SO darling Kelsey! 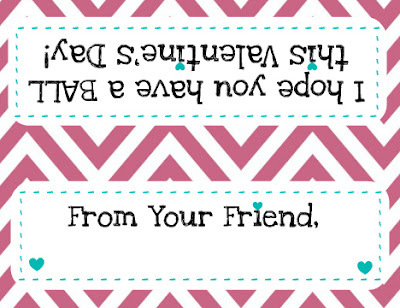 I always love your printables, and this one is perfect for a little boy gift!! Thanks for sharing at oopsey! Just made the bag topper, did a print and cut using my silhouette portrait. Super easy, thanks so much. That's kinda strange. Usually if you save it to the computer, you can click print (or right click and print) and it should give you several options to print in different sizes. You could try pasting it into a word document and get several on a page. I do that a lot when I want to fill all the space the best I can :) Hope that helps a little! Keep Up with Tattered & Inked! !